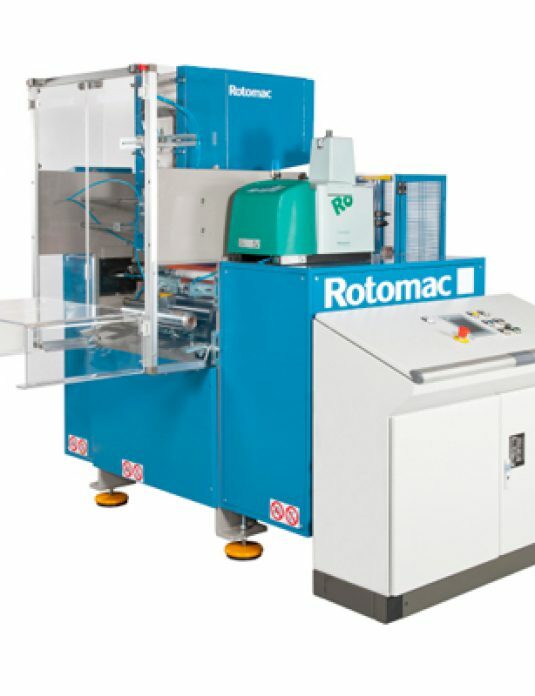 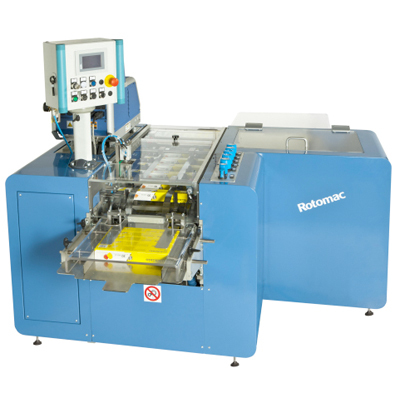 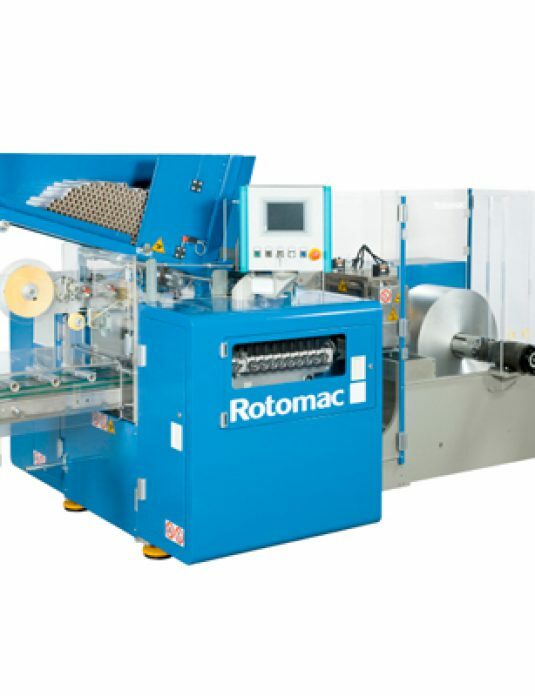 This intermittent motioning carton machine from Rotomac is very small, compact automatic equipment designed for connection to a single rewinder and is for one size and style of carton. 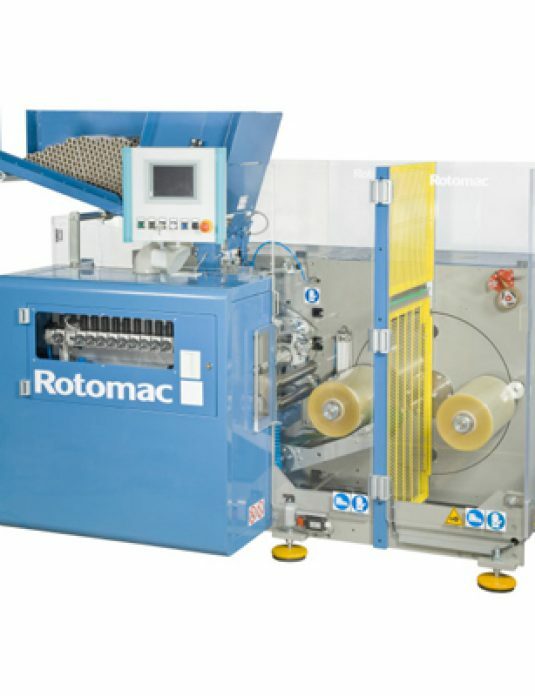 The machine only operates when a roll arrives. 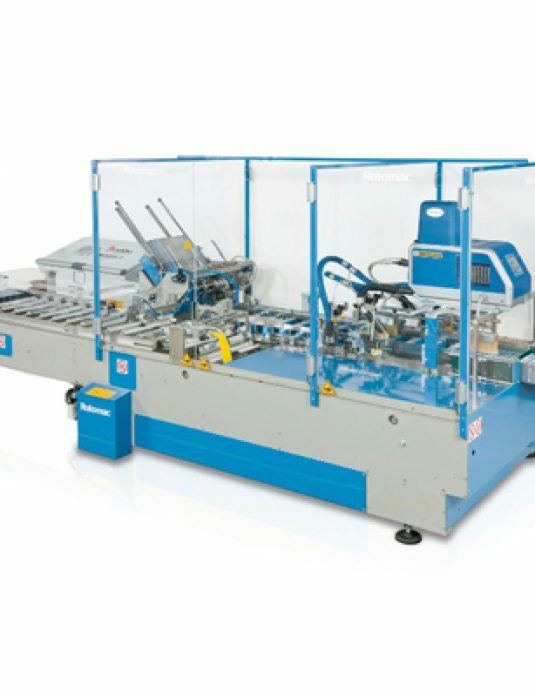 This is loaded into a carton when the machine indexes to the next position and stops until the cycle is repeated.